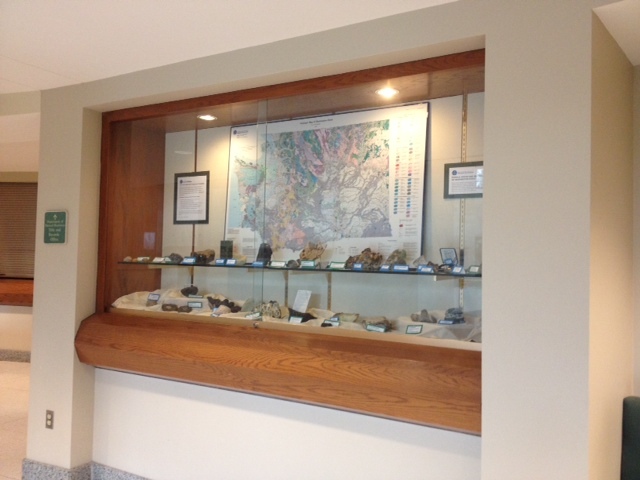 Geology display in the NRB Rotunda. 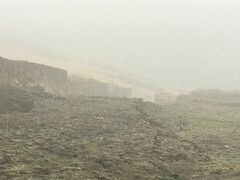 The display, devised by DGER geologists Trevor Contreras and Annette Patton, highlights the 1:500,000-scale geologic map of Washington along with various rock and mineral samples collected throughout the state. We thank them for their hard work on this! Their efforts ensure that we can continue to communicate the importance of geology and earth resources to the public.